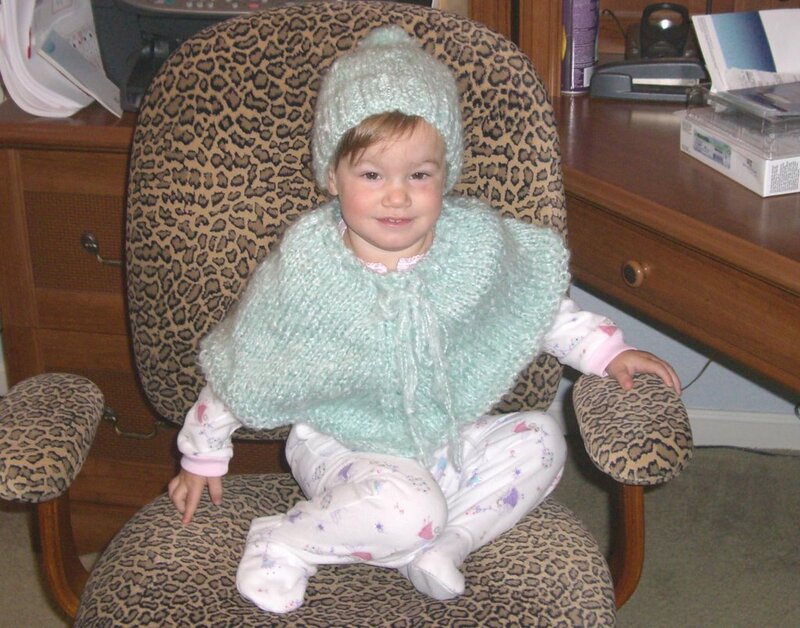 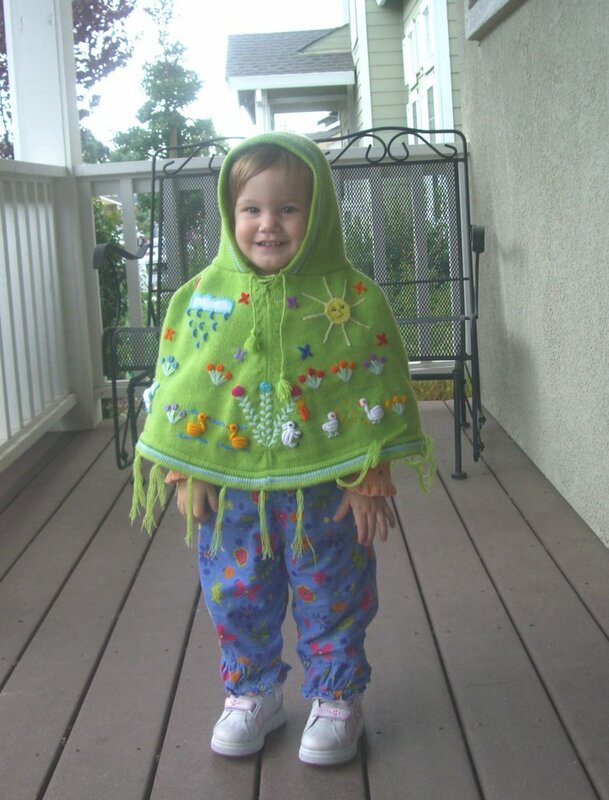 October 19- Savannah is very lucky because her Great-Grandma Poppy likes to knit her lots of pretty things like this poncho & hat! 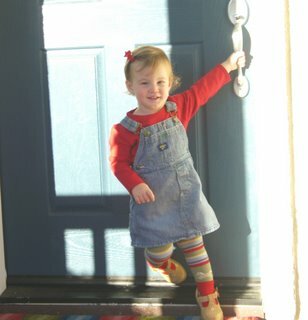 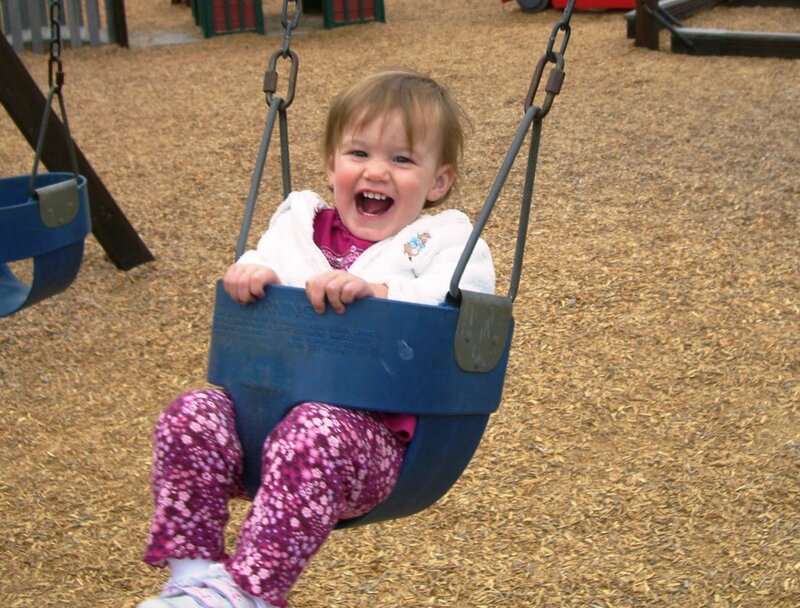 October 15- Here is a picture of Savannah swinging at her favorite playground. 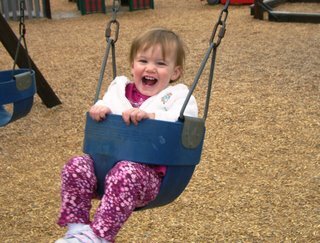 Playground Fantastico has a whole play area dedicated to toddlers. The play structures are just the right size so that the little ones get around all by themselves-- which Savannah loves of course. 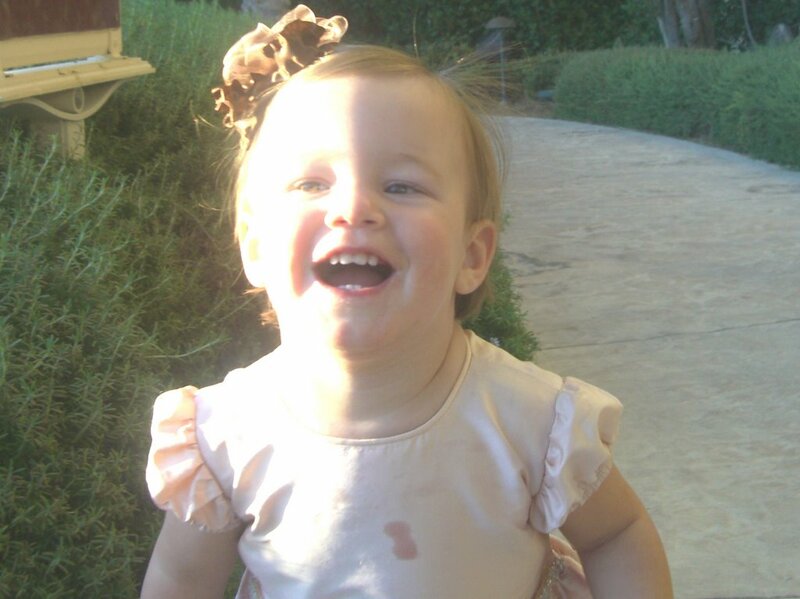 October 15- Once Savannah finished decorating her cookie she was so excited to eat it! We convinced her to let it sit for awhile so the frosting could dry, but everytime she walked by the counter and saw it sitting there she asked for it. She finally got to eat it after dinner and even shared some with Daddy! 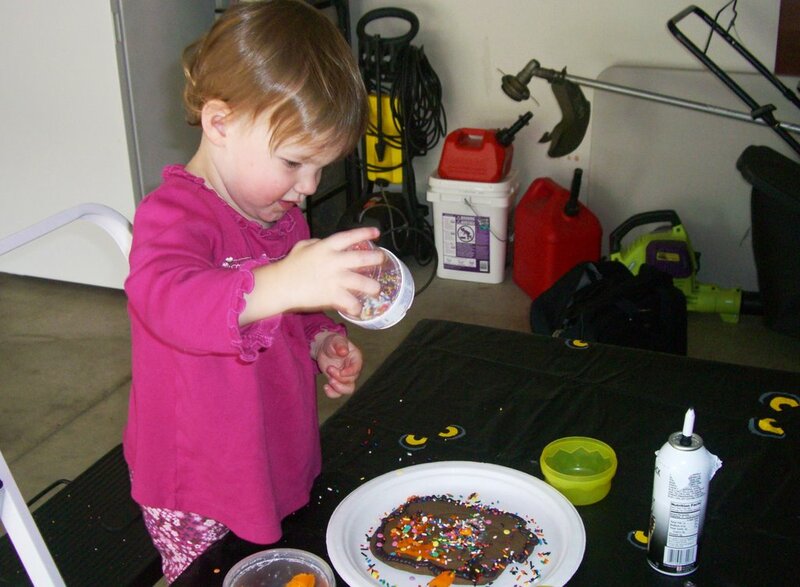 October 15- Today Savannah decorated Halloween cookies. 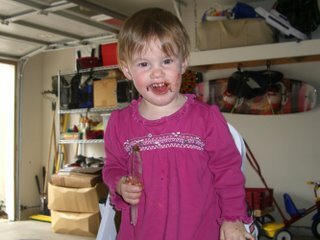 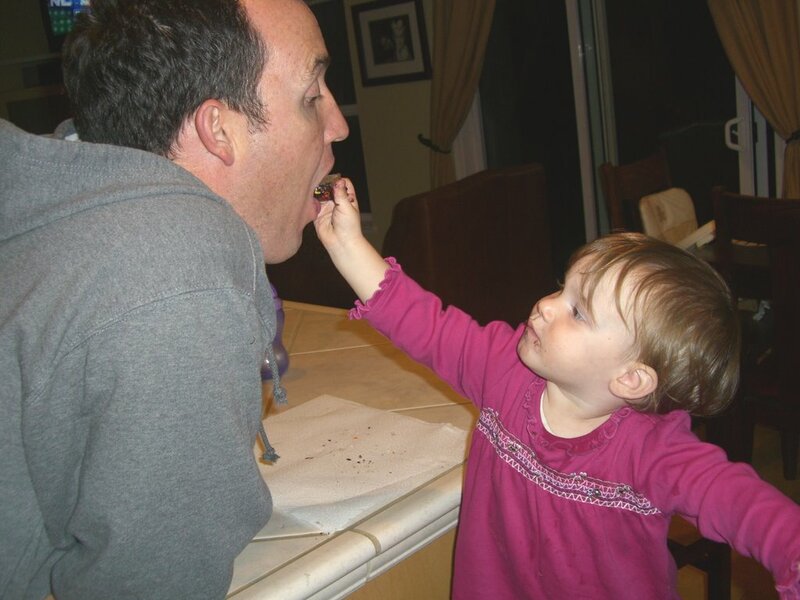 She had a lot of fun putting the frosting & sprinkles on her cookie... and in her mouth! 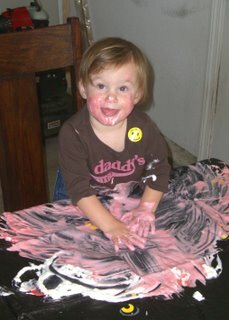 October 11- Here is a picture of Savannah finger painting with a mixture of cool whip & kool-aid. She wasn't quite sure if she wanted to paint with it or eat it! 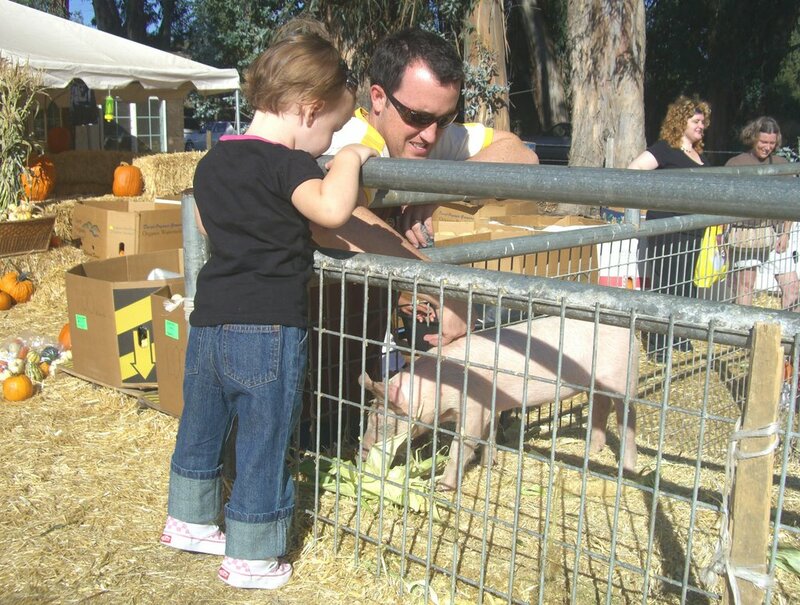 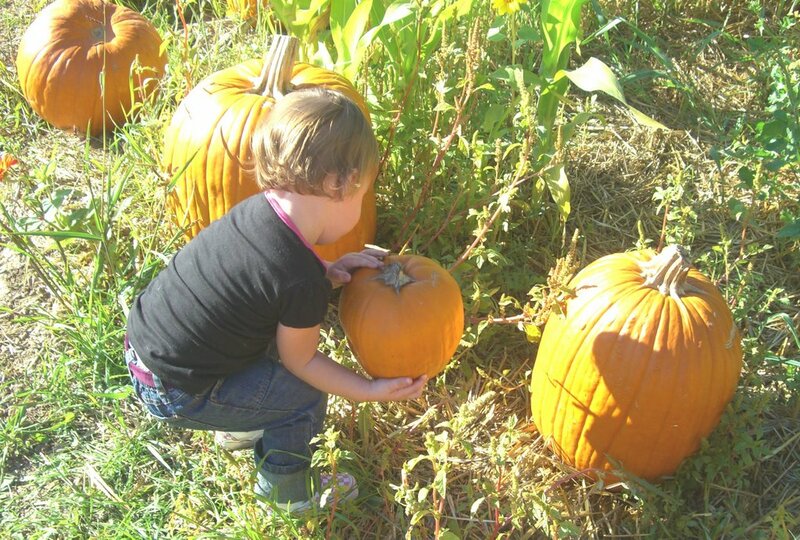 October 8- The pumpkin patch has a litter of piglets that are absolutedly adorable. Savannah really enjoyed petting & feeding the little pigs. October 8- Today we went to the pumpkin patch and Savannah had a great time picking out her pumpkin and putting it in the wheelbarrow-- all by herself of course. 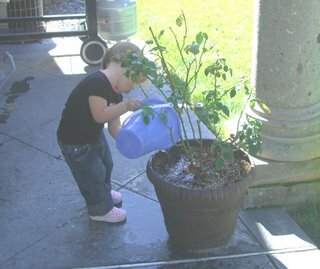 October 8- This morning Savannah entertained herself for a good half hour by filling up her bucket, then watering the roses with it. 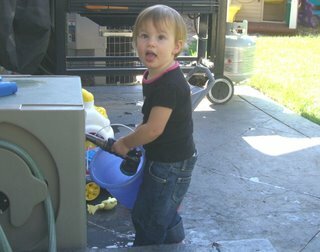 She was so proud that she was able to do it all by herself! 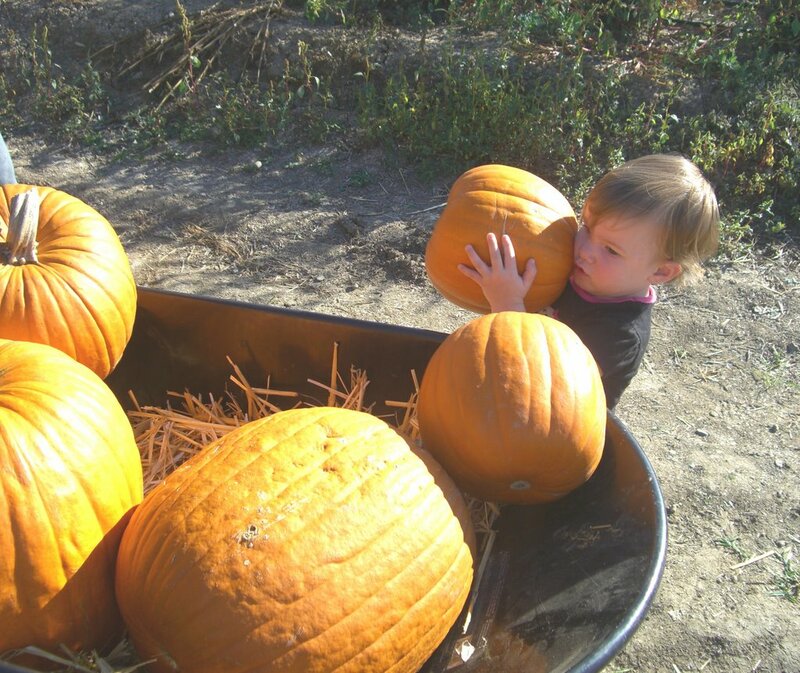 October 5- Fall arrived in Napa today bringing with it lots of rain and wind! Savannah was going stir crazy after being inside all day, so we suited her up in a cute poncho and let her go play outside during a break in the rain. 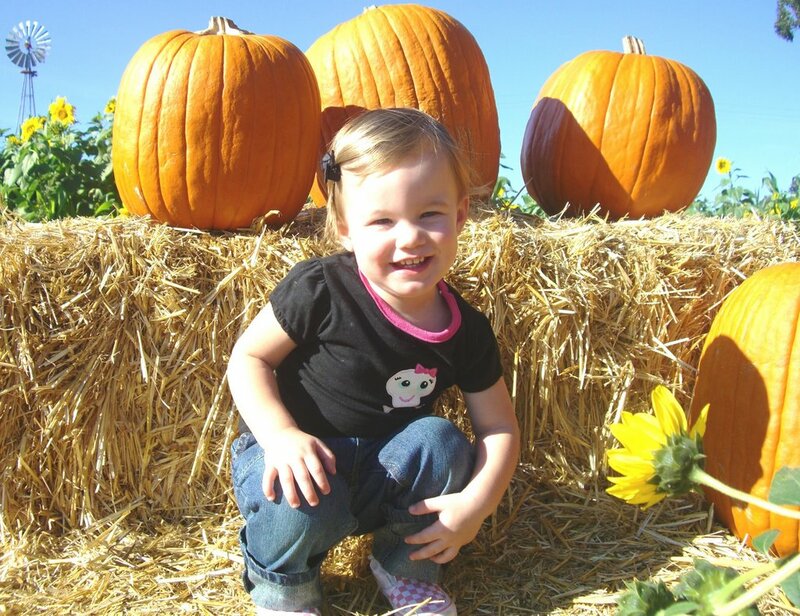 October 1- Savannah absolutely loved playing inside the boat and pretending to drive. 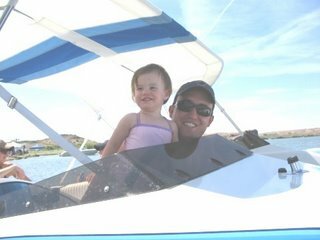 Here is a shot of her playing in the boat with Daddy. 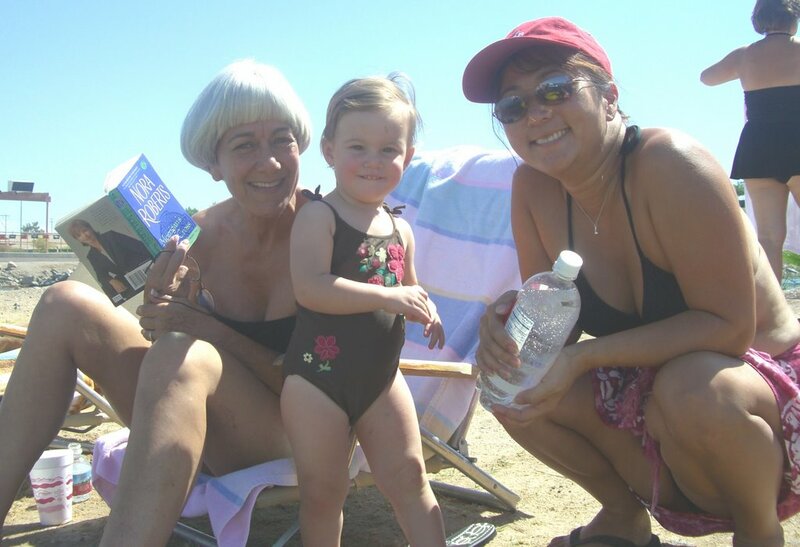 September 30- Savannah took her 1st trip to the river this last weekend to help celebrate Marion Beaver's 90th birthday. She had a lot of fun playing with everyone on the beach. 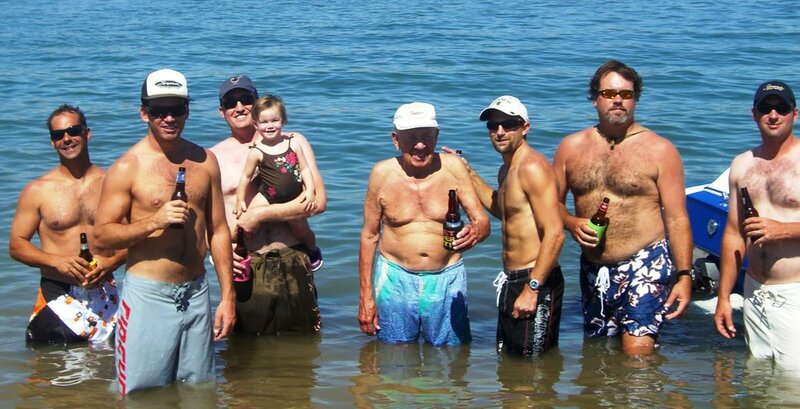 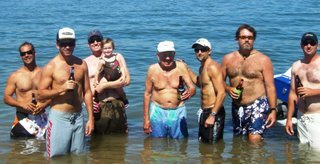 Here are some pictures of her in the water with all the guys and hanging out on the beach with Auntie Georgette & Paige. September 24- Savannah won her 1st goldfish at the Napa County Fair back in July and much to our surprise it is still alive! 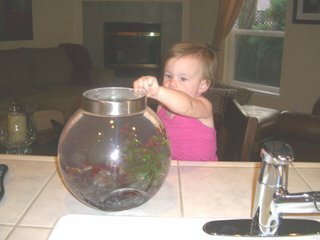 We named the fish Dorothy, after Elmo's goldfish. Savannah loves to feed Dorothy and watch her swim around in her bowl. 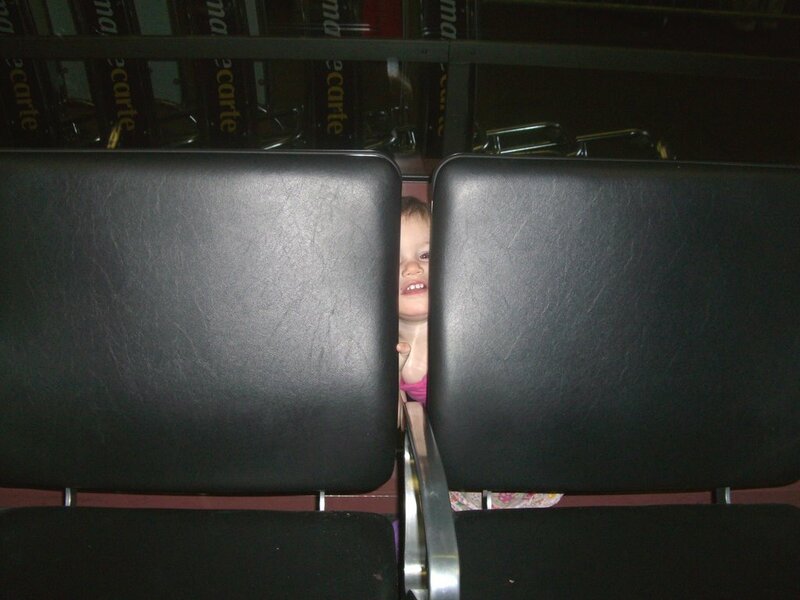 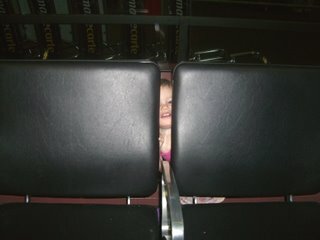 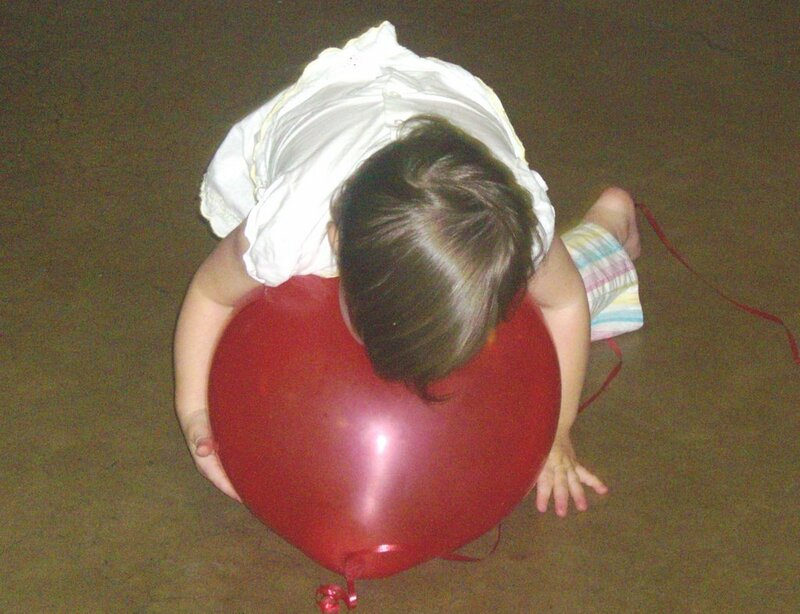 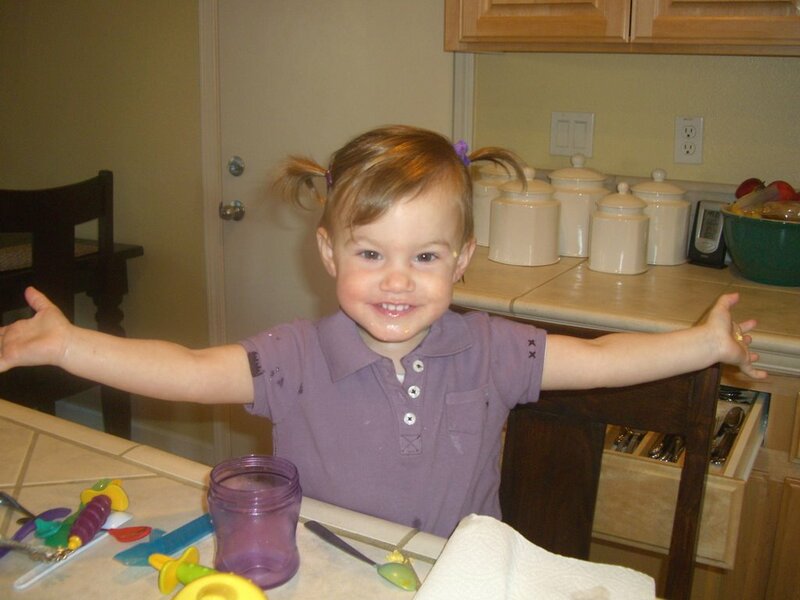 September 24- Savannah had a blast playing hide & seek at the airport in Las Vegas. September 24- Savannah absolutely loves to talk on the phone! 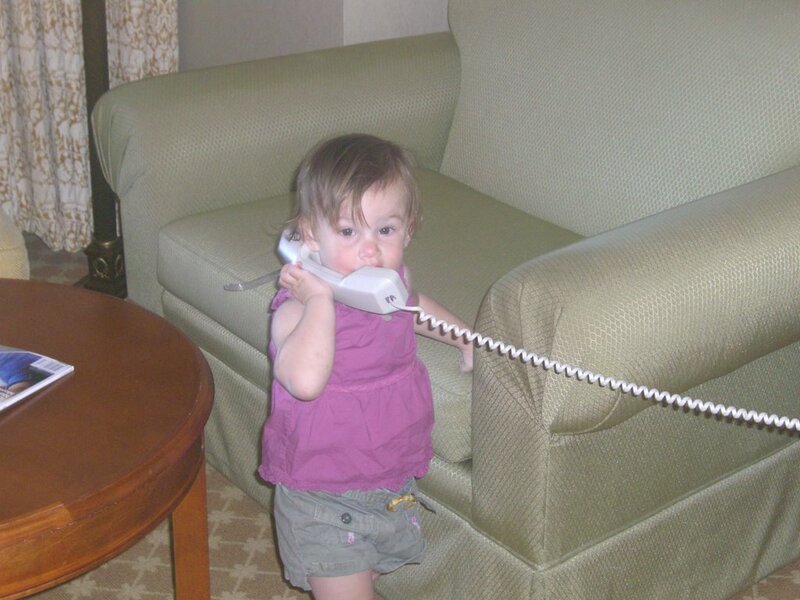 Whenever she see's Mommy or Daddy talking on the phone, she immediately begins to copy us by putting her hand, the TV remote or anything else she can find that resembles a phone up to her ear. 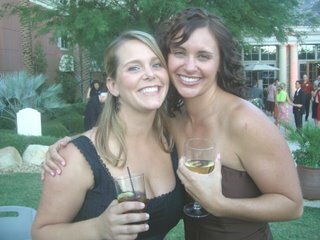 September 23- Here are two cute pictures of Savannah from the wedding. 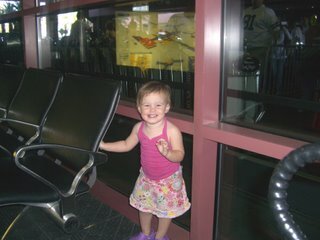 She is just being silly in one of them & getting her groove on in the other. 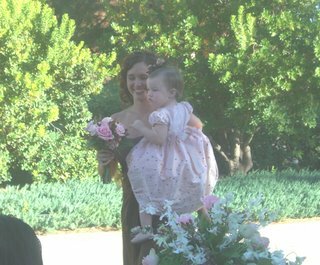 September 23- Here is a picture of Savannah with the beautiful bride-- it is not the best picture of Savannah, but it was the end of the day and the best we could get. 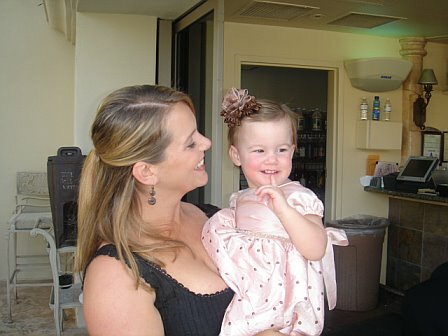 Lauren looks great though! 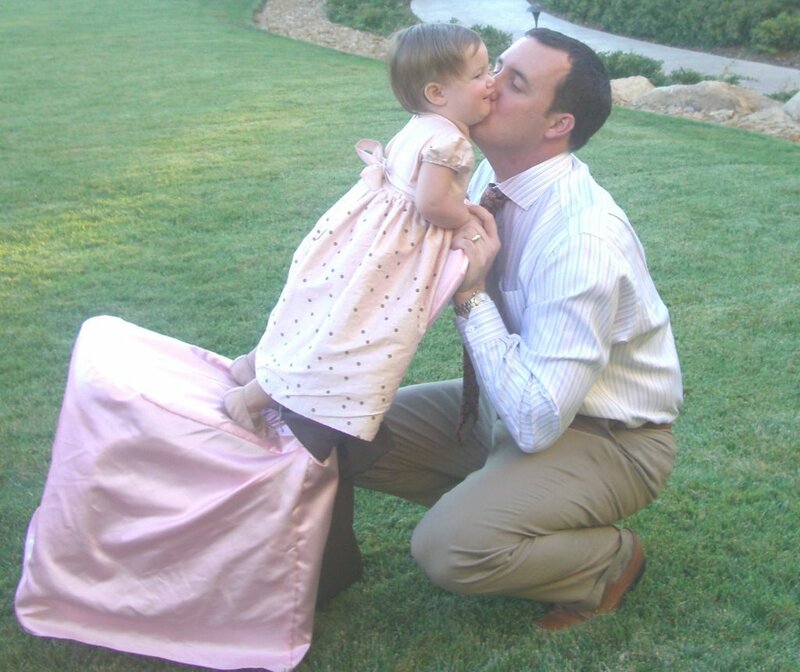 September 23- Here is a cute picture of Savannah and Daddy playing at the wedding. 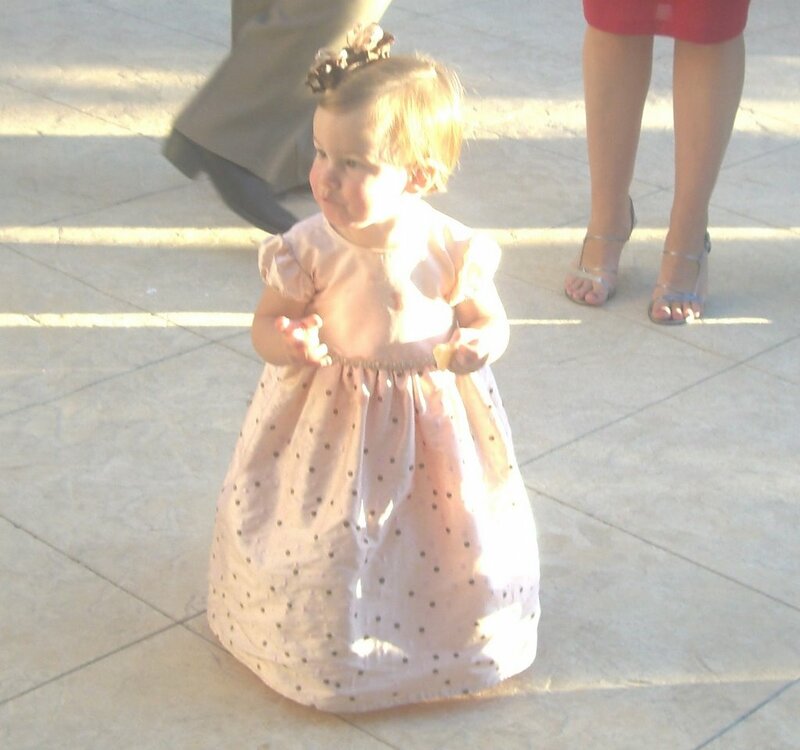 September 23- Here is Savannah walking down the aisle with Auntie Karin. 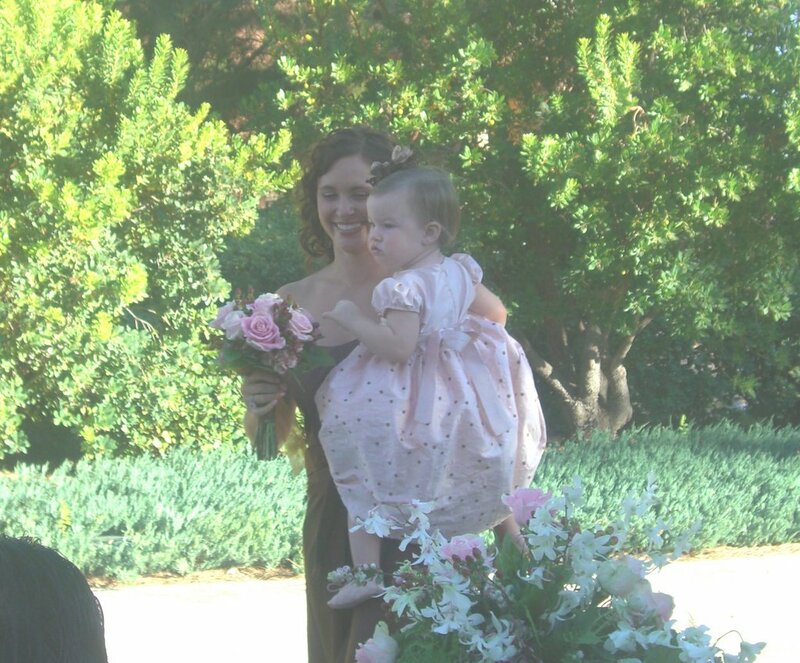 September 23- Here is a picture of all the bridesmaids & flower girls. 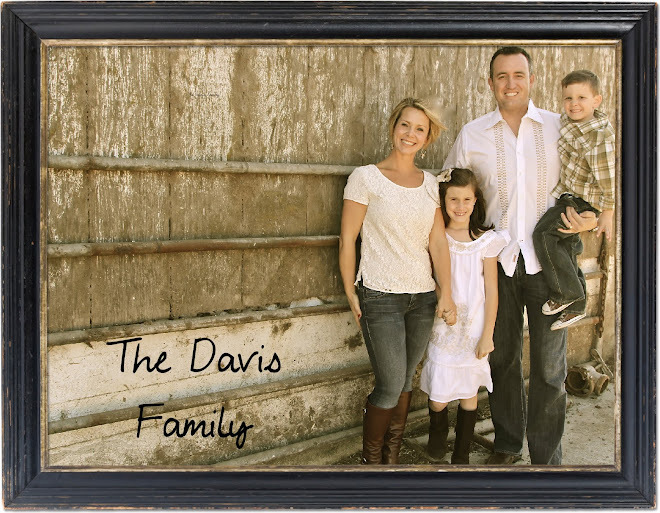 We are a happy family of four enjoying life in Napa Valley!